Only a slight bit obsessed with my new Alina leather jacket from my friends at Peter Nappi. To me, a leather jacket is an important investment piece and a staple that you will keep around for life. 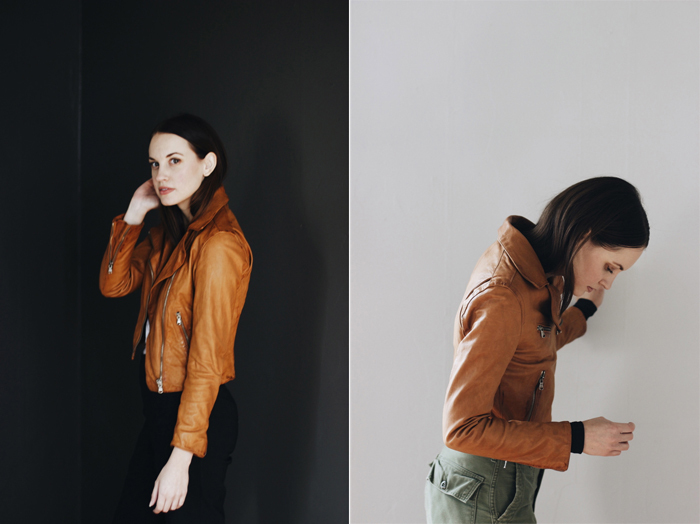 The masters at Peter Nappi created this cropped moto jacket in perfect washed tobacco vachetta leather. If you haven't heard about their company before, do yourself a favor and read all about what they do and how they do it. Nashville is lucky to have them, and their showroom is easily one of the most beautiful sights in town.